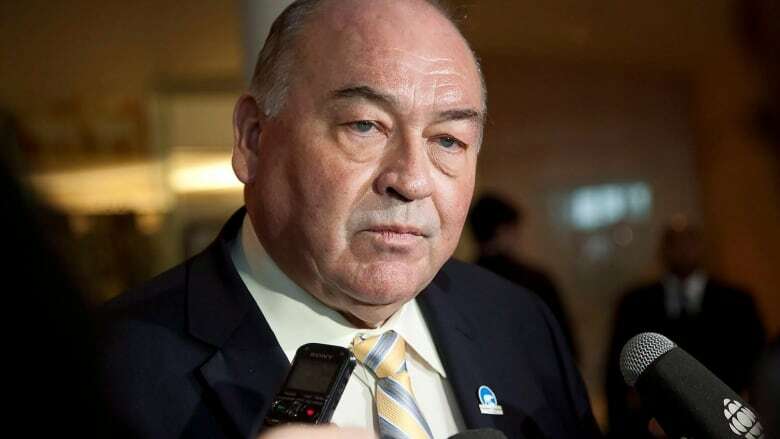 Bob McLeod is clarifying some statements he made last week when he declared a 'red alert' on the future of the N.W.T., while defending their intent. The premier of the Northwest Territories is clarifying some statements he made last week when he declared a "red alert" on the future of the territory, while defending his message. "The promise of the North is fading and the dreams of northerners are dying as we see a re-emergence of colonialism," Premier Bob McLoed said at the time. He also called for a national debate on the future of the Northwest Territories. While making his case he cited statistics that later came under scrutiny and criticism for what some said were exaggerations or inaccuracies. On Wednesday he released a statement clarifying those numbers. McLeod's "red alert" said the Energy and resource sector accounts for 40 per cent of the the N.W.T. economy. In his clarification Wednesday, he stated that number included both "direct and indirect" economic contributions, but fluctuated from year-to-year. "There have been several years since 1999 where the direct and indirect impacts of resource development have accounted for 40 per cent or more of GDP," he stated. "As of 2015, the most recent year for which figures are available, resource development contributed 32 per cent to the N.W.T. economy. "While the numbers change from year to year, the fact is that resource development has been and continues to be the single biggest driver of the N.W.T. 's economy." In an interview with CBC about the "red alert," McLeod said that 52 per cent of the N.W.T. 's land was "protected." On Wednesday, the premier clarified that, in fact, 43 per cent of the N.W.T. is "currently unavailable ... for development." "This includes currently protected lands, lands withdrawn for conservation and lands proposed for conservation, as well as lands withdrawn for land claim negotiations and settlement lands held by Indigenous governments." McLeod said it was unfortunate the confusion over the numbers has shifted focus from what he called the real issue: "That the people of the N.W.T. must have a say in defining the future of their territory and can no longer be an afterthought in Ottawa. "Whatever the actual numbers, the fact of the matter is that our government has not received any clear indication that Canada has a coherent vision or plan for the N.W.T. 's long term future that is guiding decisions they are already making and implementing in the N.W.T."